A huge congratulations to Toni Riddiford – our BCO NextGen ‘Rising Star’ finalist! The award nomination recognises Toni’s outstanding contribution to the office sector across South West England and South Wales this year. I feel incredibly proud to have been nominated for this award. With the evolution of the world of work, commercial is an exciting sector to be involved in. Young professionals are the future of this sector, so it’s important that our voices are heard and we continue to have opportunities to develop. Katrina Kostic Samen (BCO President) has pledged to focus on ‘NextGens’ and diversity, which is encouraging! Based in our Bristol office, Toni specialises in workplace and retail, but has broad sector experience, including residential and education. She brings this all together to lead multi-disciplinary teams on mixed-use projects from inception through to completion. She plays a key role in our private sector team. 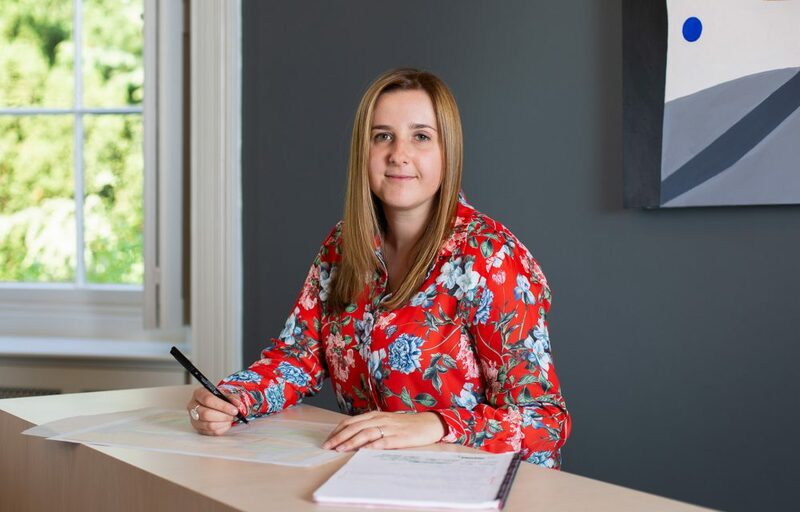 Toni has delivered appraisals for landmark projects in Bristol and Cardiff, and is currently project architect for several developments at Bristol Airport, including their new Headquarters. Outside Stride Treglown, Toni is widening her influence and building her network, with regular attendance at industry networking and development events, BCO last year in Berlin being one of her favourites. Another highlight for Toni was working with Cushman & Wakefield and Method Consulting to develop proposals for ‘the office of 2035’ in response to BCO’s Future of Office competition. The ceremony was a great night. It was fantastic to have current clients, Bristol Airport and British Land, there supporting me! Thank you also to Stride Treglown for nominating me and for their continual support. This is a fantastic achievement Toni – we’re very proud of you!